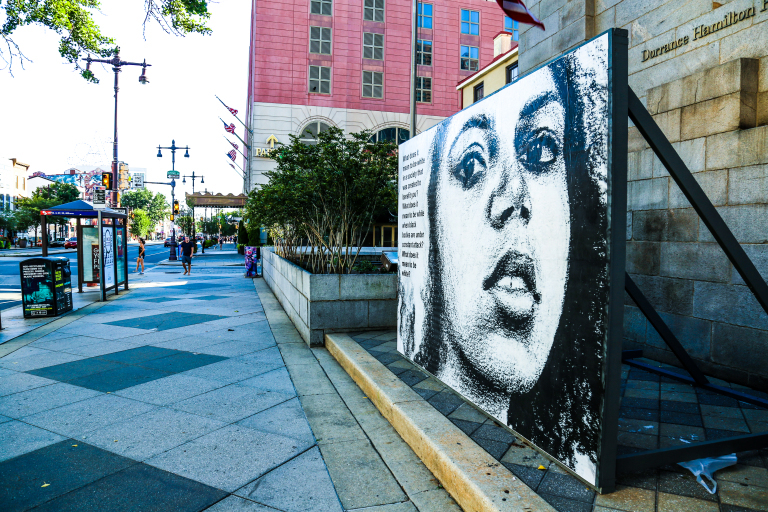 The Mural Arts Philadelphia project recently commissioned this challenging work, which is located in the heart of the city on South Broad Street at the University of the Arts. 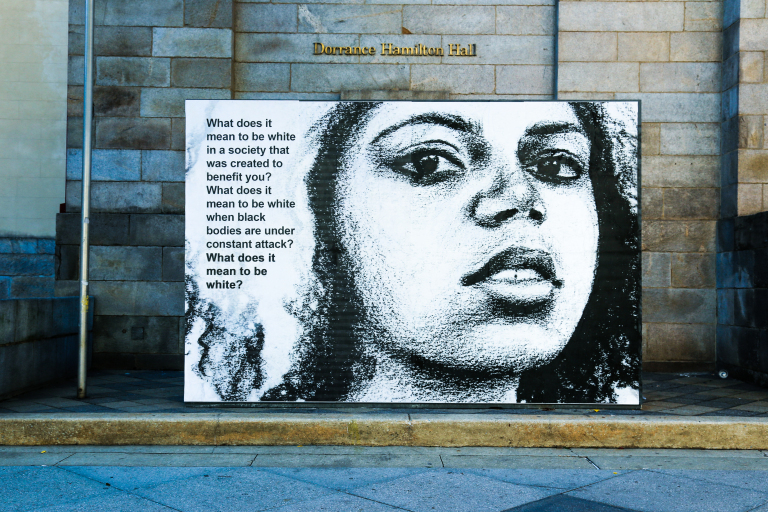 The piece is by Brooklyn-based street artist Tatyana Fazlalizadeh who is known internationally for her “Stop Telling Women To Smile” posters, which attack street harassment. 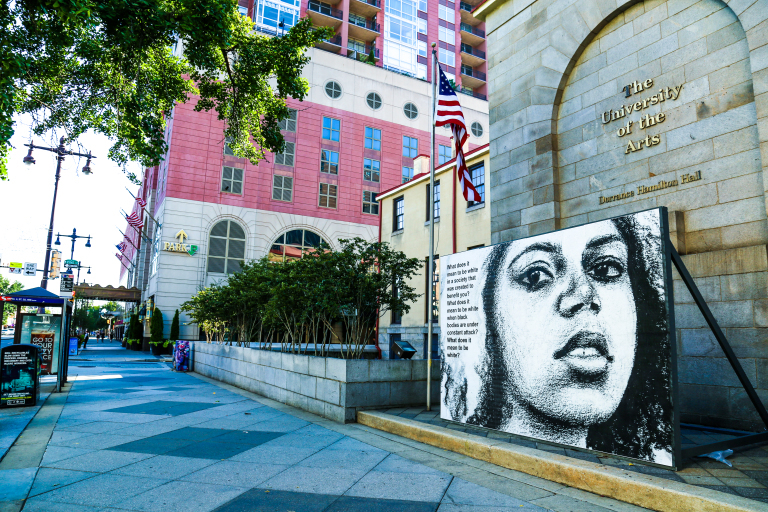 This entry was posted in Art, USA and tagged Mural Arts Program, Philadelphia, Street Art. Bookmark the permalink.